Helping Catch More Than Bad Guys! 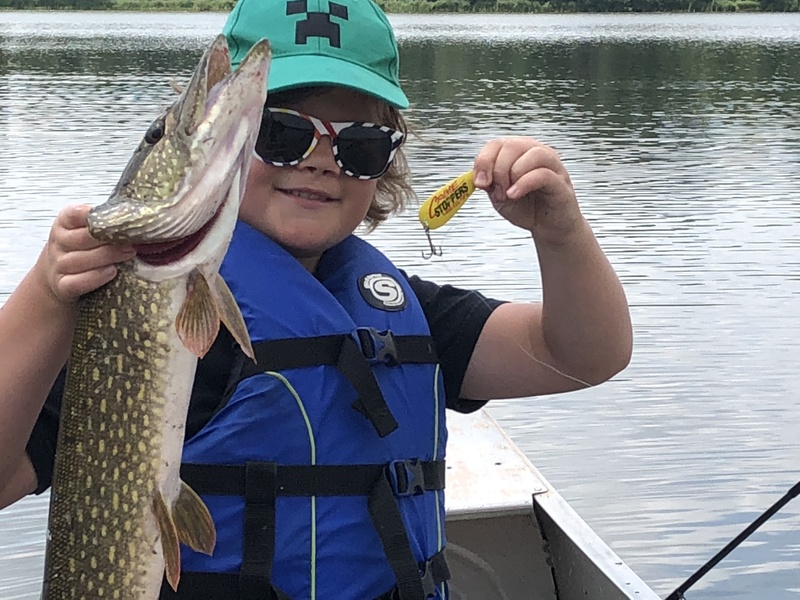 Chet Davenport of Minneapolis, caught this 27 inch Northern using his Crime Stoppers fishing spoon. He released the fish with a warning! Crime Stoppers of Minnesota is governed by a Board of Directors and operates with all volunteers. As a 501(c)3 nonprofit organization we are posting an Annual Report to showcase our efforts to make safer communities. Tip Helps Fifth Precinct Tobacco Shop Drug Raid Be A Major Success! Since the beginning of November the Fifth Precinct Community Response Team has been conducting an undercover narcotics investigation into a tobacco store in the 4600 block of Nicollet Ave South in relation to the sale of synthetic marijuana, also known as “K2” or “420”. During this operation, which stemmed from several tips, including one from Crime Stoppers of MN, an undercover Minneapolis police officer purchased synthetic marijuana from a clerk in the store four times. Over 80 pounds of synthetic marijuana, $232,000 in cash, (including over $190,000 in a suitcase at the home and over $8000 in the business’ microwave) a Mercedes Benz and jewelry were seized during the search warrants. The store clerk and resident of the home, Mokrane Rahim, age 30, was arrested for Probable Cause Narcotics and later charged by the Hennepin County Attorney’s Office with Fourth Degree Sale of a Controlled Substance to a Police Officer. Other charges may be considered. Bloomington Police Department's Roll Call TV program discussed Crime Stoppers of Minnesota on its March 16, 2012 broadcast. It includes Youth Against Crime and You Solve as programs to solve crimes. 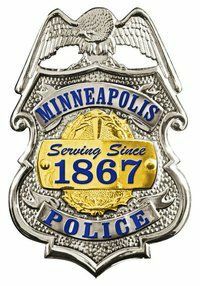 Since the shooting of 3 year old Terrell Mayes inside his residence on the day after Christmas 2011, Minneapolis Police Department Homicide investigators and other officers have been pursuing information and leads in an attempt to bring his killer to justice. That work is now being supported by a new effort to attract needed information. Thanks to a joint collaboration with Clear Channel Outdoor, Crime Stoppers of Minnesota and the Minneapolis Police Department, several billboards have been erected to help find Terrell’s killer. With Clear Channel Outdoor’s generosity five such billboards are now displayed in north Minneapolis. The offer by Crime Stoppers is to pay a reward ‘up to $10,250.00’. The actual reward payable will depend on the usefulness of the tip information that leads to the arrest of a suspect - or suspects - as reported to Crime Stoppers of Minnesota by the Minneapolis Police and as administered by the standard criteria applied all to Crime Stopper’s rewards. Help solve this crime by clicking on the Submit A Tip link on this page. Today the Rochester Police Department, the Olmsted County Sheriff and Crime Stoppers of Minnesota held a joint press conference to jointly kick off the Crime Stoppers of Rochester and Olmsted County website. Crime Stoppers of Minnesota is partnering with the crime fighting efforts of these two agencies who have long worked closely to combat and solve crime through cooperation, community visibility, and relationships with the local media. For their part the agencies are working with the community and local media to publicize the need for information to solve crimes through this site. They are doing this by posting particular cases and fugitives on the newly created website (www.rochesterolmstedcrimestoppers.org) which is separate from that of the departments. Crime Stoppers of Minnesota is providing the infrastructure for the collection of tip information. That infrastructure incorporates links from the website to the Submit a Tip form on the Crime Stoppers of Minnesota website, use of the toll free phone number of 1-800-222-TIPS (8477) which is answered by the multilingual call center and access to SMS text messaging and a Submit a Tip APP for smartphones. Unique to this partnership is an automobile that has been emblazoned with Crime Stoppers logos, website, and phone number. (pictured) According to Crime Prevention Specialist Darrel Hildebrant, “this car is better than a billboard as it is mobile, it draws attention and it came at a better price than billboards.” The car was obtained through a confiscation, and is periodically parked where there is heightened crime activity or a specific crime scene. The Bloomington Police Department's weekly TV show 'Roll Call' featured information about Crime Stoppers of Minnesota. Click below to see and learn more about our service to communities.